The sinking of RMS Titanic on April 15th, 1912 was one of the first and most significant international news stories of the 20th century. This image appeared in Dom i sviet, a historical newspaper held by the National and University Library of Zagreb. 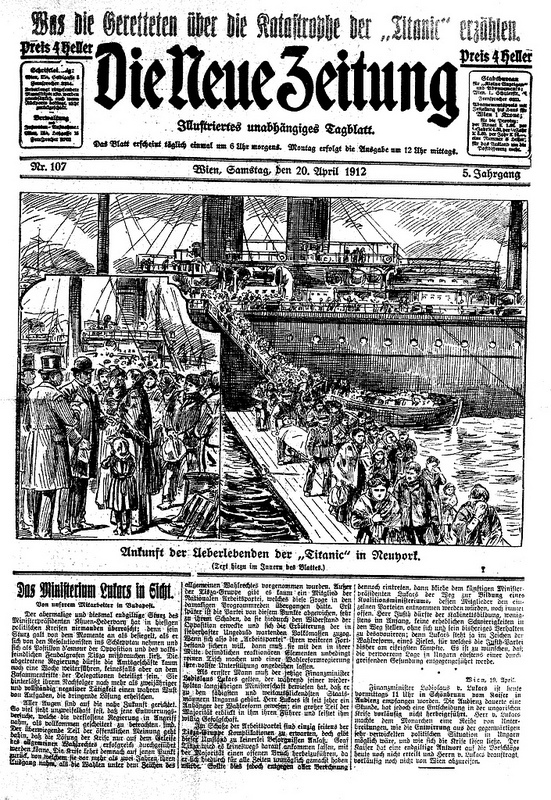 Newspapers across Europe and around the world carried news of the ship’s demise. Not all of these papers covered Titanic’s sinking equally, however. 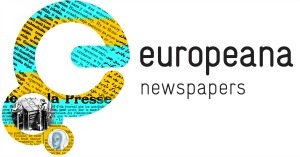 Partners in the Europeana Newspapers Project recently collaborated to assemble more than 50 pages of newspaper coverage about the Titanic disaster. These historical newspapers naturally allow us to see how the event was reported. 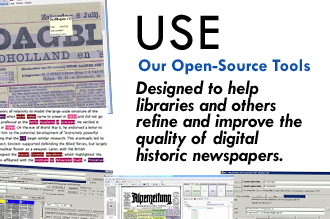 More than that, they also give us insight about the varied newspaper styles and editorial decisions of the time. Of all the newspaper pages collected by our partners, the coverage in Die Neue Zeitung newspaper (Vienna, Austria) is arguably the most dramatic. The paper promoted itself as an “illustrated independent daily” and lived up to this name with large and detailed sketches of the Titanic disaster. 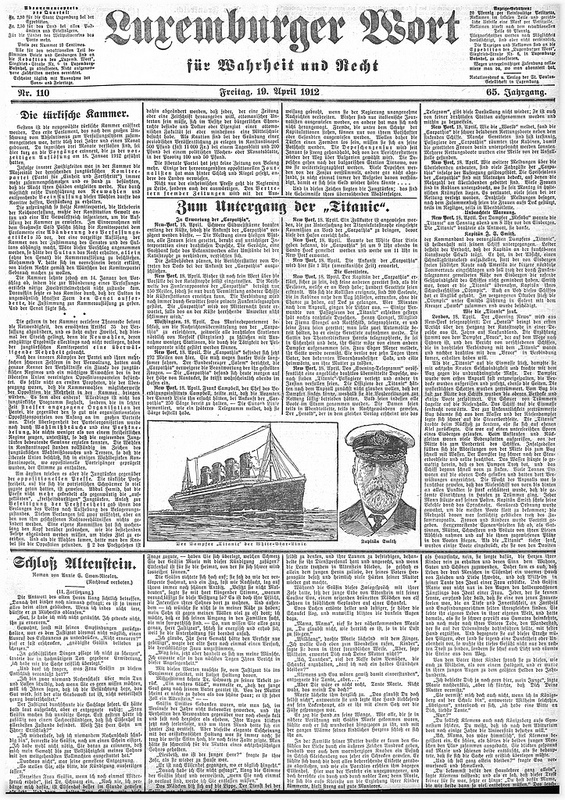 Its first report was on April 17th and Die Neue Zeitung published several front-page stories about Titanic in the days that followed. 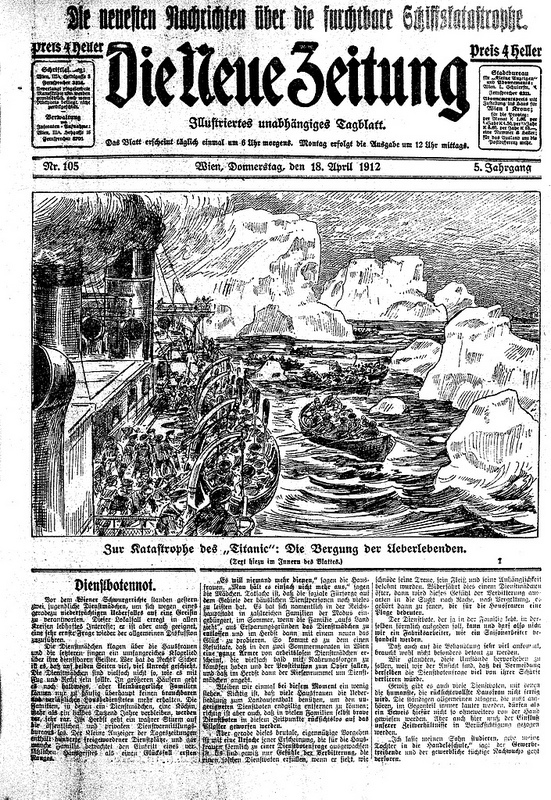 Graphic coverage of the Titanic disaster from Die Neue Zeitung illustrated daily newspaper, based in Vienna, Austria. Image courtesy of the Austrian National Library. 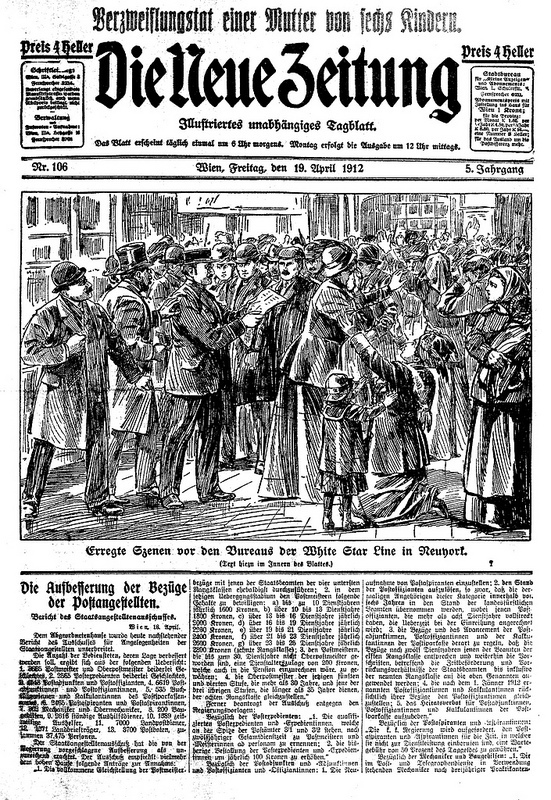 On the same day, newspapers across Europe also featured the Titanic story on their front pages but most reports were much shorter. Images tended to be much smaller, if they were included at all. In Portugal’s O Século newspaper, for example, the article was placed in the bottom right corner. The newspaper ran stories about a solar eclipse and the latest news from the artistic and sporting world near the top of the page. This is how Portugal’s O Século newspaper reported the Titanic disaster on April 17th, 1912. Image courtesy of the National Library of Portugal. 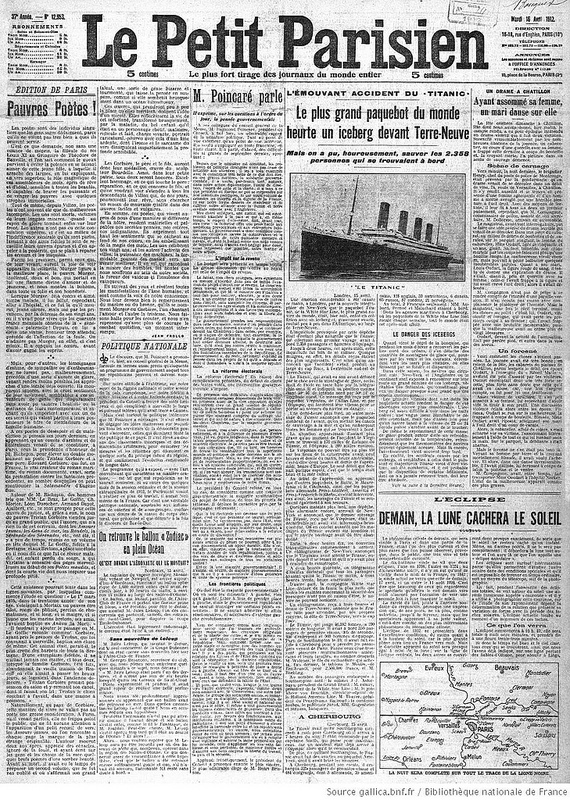 This newspaper ran one of the earlier reports about the Titanic on April 16th but it erroneously reported that everyone on board had been saved. Image courtesy of the National Library of France. 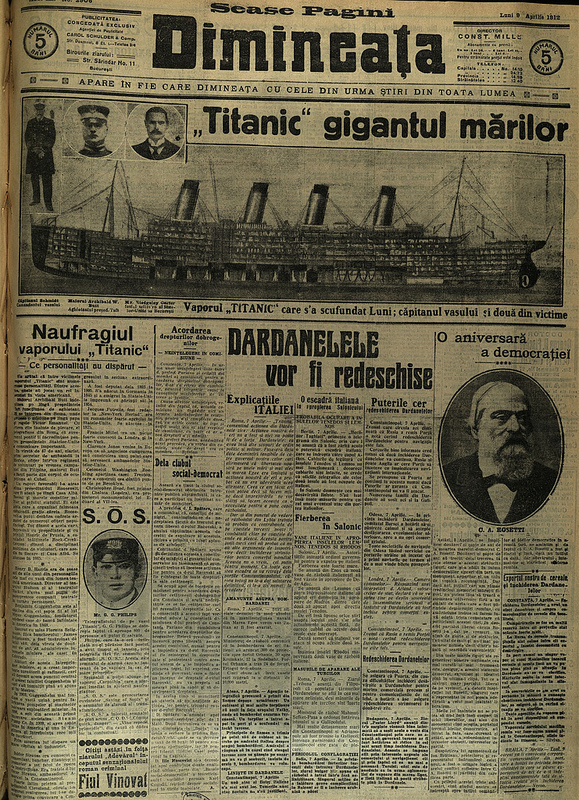 The sinking of Titanic was also big news in eastern Europe. 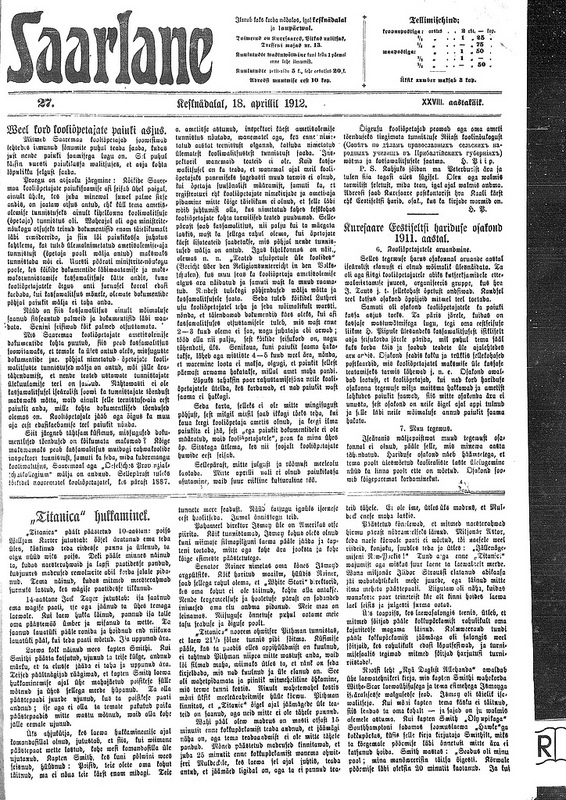 Romanian newspapers dedicated a considerable amount of space to covering the disaster and published many photos. 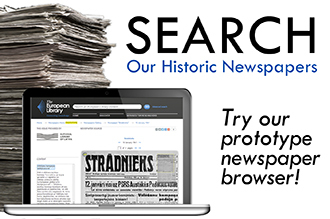 Researchers looking for these reports in newspaper archives, however, need to pay close attention to dates. This paper, for example, is dated April 9th – six days before the Titanic sunk. This discrepancy is because dates in Western Europe are based on the Gregorian calendar but Romania followed the Julian calendar until 1919. The converted date becomes April 22nd on the Gregorian calendar. The date of this newspaper has been set according to the Julian calendar, so to compare with other Titanic coverage we must convert the date to the Gregorian calendar. Image courtesy of the National Library of Romania. It was a similar story in Latvia, where the first reports appeared on April 4th (April 17th). 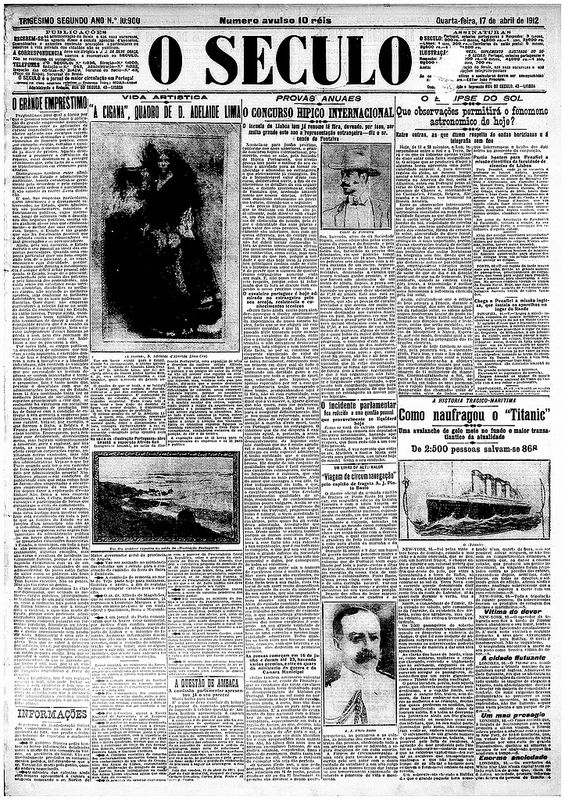 Unlike many other countries, Latvian papers did not feature the Titanic’s sinking on the front page. This was probably not because it was considered a minor event but more likely because newspapers had a very strict template. A certain type of content was expected on each page. Foreign news items were often published on pages 4 to 8 and the Titanic story had to vie for its spot with other stories such as Italy’s war with Turkey. 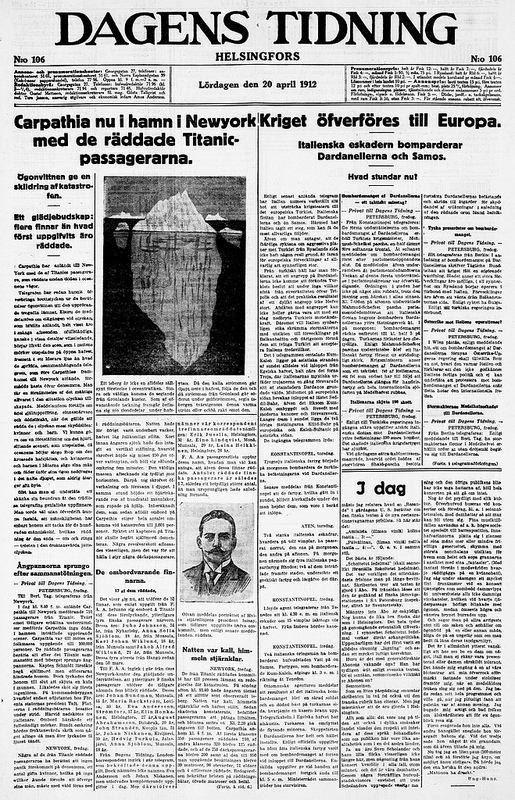 The story of the Titanic’s sinking was largely featured on the inner pages of Latvia’s newspapers. The small story in this example can be seen outlined on the right side of the page. Image courtesy of the National Library of Latvia. 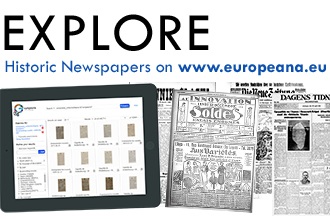 You can explore all of the images that we collected on the Europeana Newspapers Flickr group, and via the gallery below. Click on any image to enlarge it. 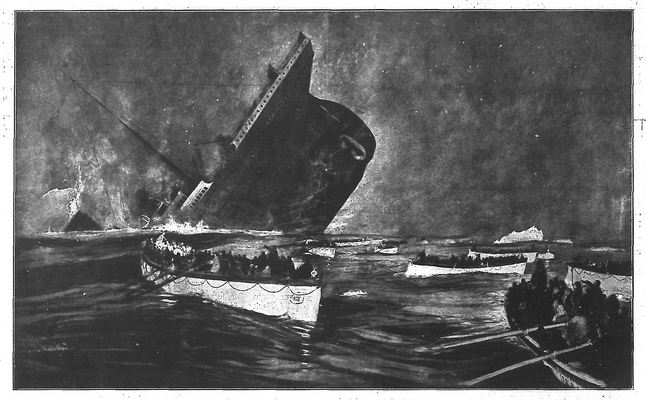 Later reports of the Titanic disaster, such as this one from April 20th, included details such as the profile of the iceberg that hit the ship. Image courtesy of the National Library of Finland. 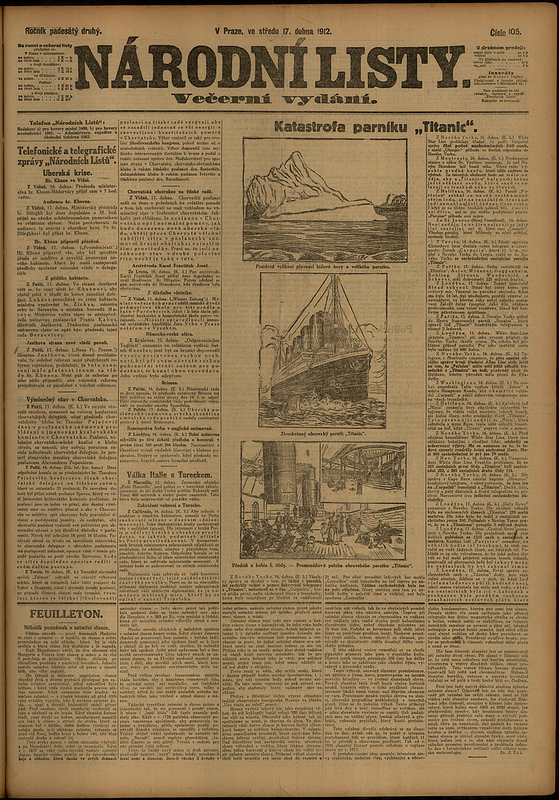 In Estonia’s bigger newspapers the Titanic was only 2nd or 3rd page news. It only made the front page in this small county newspaper called “Saarlane”. Image courtesy of the National Library of Estonia. 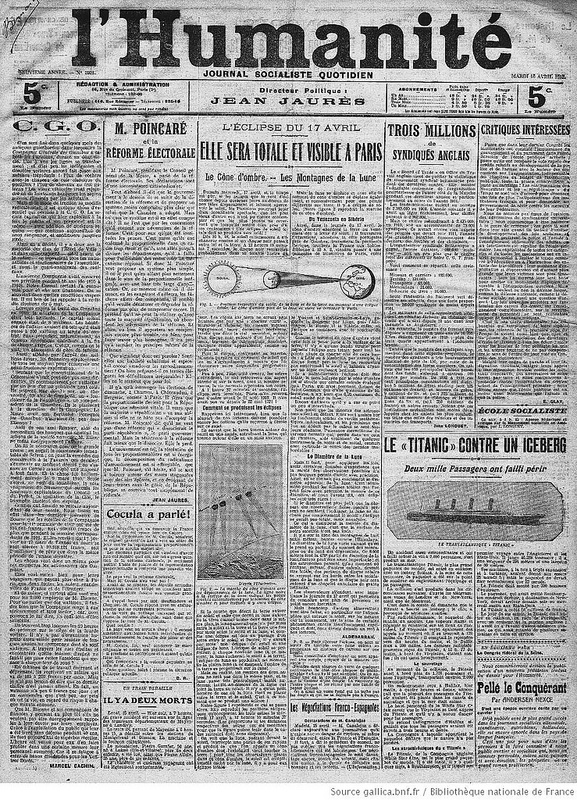 This article from the French newspaper l’Humanité placed the solar eclipse above the Titanic story. Image courtesy of the National Library of France. 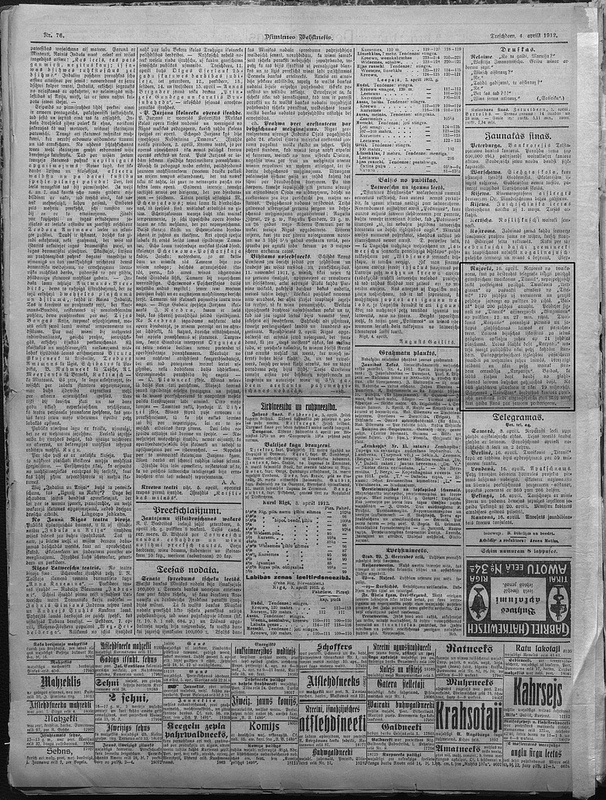 An image of Captain Smith made the front page of the Luxemburger Wort newspaper. Image courtesy of the National Library of Luxembourg. 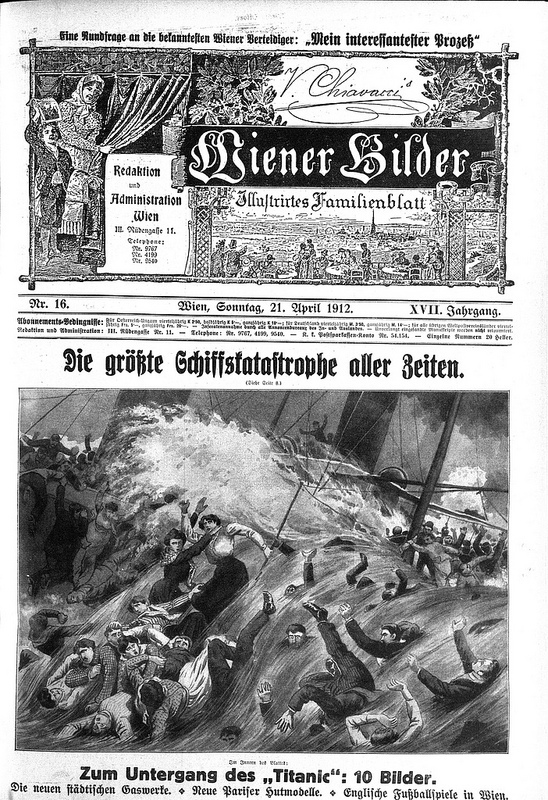 A dramatic sketch of the chaos was published in the Wiener Bilder. Image courtesy of the National Library of Austria. A series of sketches appeared in this report from April 17th. Image courtesy of the National Library of the Czech Republic. This entry was posted in Blog and tagged titanic by eurnews. Bookmark the permalink.